This centuries-old question about the difference between fiddle and violin is ever present, and it’s safe to say that no one knows the answer for sure. They’re built in a very similar way, the play style is quite similar, and the only apparent difference is the music genre in which these instruments are used. Violins and fiddles use the same tuning, their clef is identical, and their note range is the same. By now, you should have a clear picture of why it is so hard to state the real differences between the two. There aren’t really any major differences between the instruments except for play style and musicians usually declare themselves as violinists or fiddlers. So what are the differences between the fiddle and violin? We discuss our findings below. There are people who still believe that the fiddle and violin are one and the same, and there are various arguments that could support this statement – they have the same tuning, the same design, a similar play style, and more. Most musicians state that the real difference between a fiddle and a violin is in the music style. If you play classical music, and if you bought your instrument from a place that deals with classical instruments (clarinets, pianos, etc. ), it’s most likely that you have a violin. On the other hand, folk music genre is mainly influenced by fiddlers – musicians who play a stringed instrument which they call a fiddle. This theory advocates the statement that the only real difference between these two instruments is in the construction and design. Both the fiddle and the violin feature the same clef, they are available in 4 and 5 string variations, but the bridge is somewhat different. The bridge of the fiddle is usually flatter, as the musician can easily execute triple or double stop bowing while the violin’s bridge is usually arched, allowing for cleaner and easier single noting. Western musicians have refined the word Fiddle into something that will express their intimacy with their instrument, whereas, classical and professional musicians will always regard their instrument with respect (which can sometimes be misinterpreted as rigidness), calling it simply a violin. First of all, if we are to compare these two instruments, it’s only obvious that we start at the core – What is the violin, and what’s a fiddle? By stating the obvious, we won’t get very far – both of these instruments are pretty much the same, so let’s speak about their similarities, their differences, their roles in the musical scene throughout the ages, their strings and tunings, and more. The question “which came first, the chicken or the egg?” can just as easily be applied in this situation. Which came first – the violin or the fiddle? The violin first appeared on the musical scene in the 16th century in Italy, but the sources indicate that the fiddle originated then and there as well. Ever since it first appeared on Italy’s music scene, the violin gained much popularity. The beautiful melodies captivated the attention of audiences, willing or unwilling, and soon, all of Italy rejoiced at this marvelous creation. Nobody can pinpoint the exact time when the violin was created, but all sources and scholars agree that it was sometime during the 16th century. The earliest uses of violin included melodic leads, solo parts, and harmonics. The purpose didn’t stray too far for a long time, and violin retained its main function throughout the centuries. 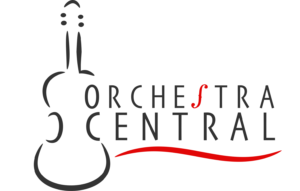 With the forming of renowned music orchestras, some groups have even created up to several sections of violins, all with different roles. Some of these sections were intended to fill gaps, while others were played in unison (creating harmonies along the way). Additional violins were intended to play rhythm. Nowadays, various performers use violins in different purposes and settings. We now have a wide variety of solo violinists, violin rhythm sections, and, in some oddball cases (such as alternative and avant-garde post music genres), violins actually play a vital role (often played in odd-time signatures). It’s safe to say that violin’s role is a versatile one. Violins are often supplied with four synthetic strings, but it’s not uncommon to see a violin with a set of nylon or steel strings. 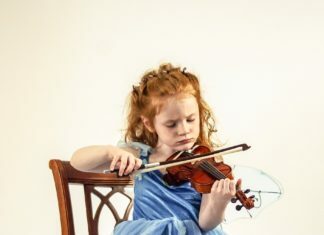 There are different types of violins that are made for kids, teenagers, and adults of different ages – kids and teens usually have violins with looser and softer strings, which allows them to reduce the hand fatigue during playing. The standard set of strings for a violin include four synthetic strings. There are variations with five strings, but these instruments are a rarity. 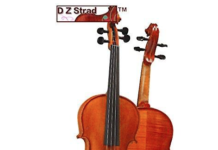 You can learn more about the types of strings violins use in our best violin strings article. The standard violin tuning is standard E – E, A, D, G. This tuning is very interesting as it’s practically the same as the standard Bass Tuning. Fiddles use the same type of tuning. This element is crucial – the play style differentiates violins from fiddles, and both musicians and theorists agree on this statement. This even means that it’s not the brand or the manufacturers that make fiddles and violins – it’s you, as the player. 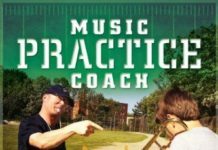 Imagine it this way – every musician is free to setup his (or her) own instrument, but the basic components are the same. Fiddles and violins are, essentially, one and the same until you decide to open the case, tune it the way you want, and start playing. 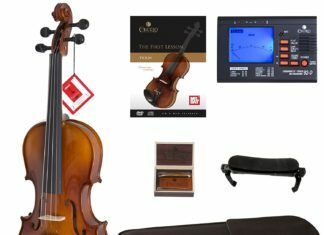 Now, you can change your strings and tuners, you can even change its physical appearance, but you’d have to do it in a way that will suit you – as a violinist, or as a fiddler. 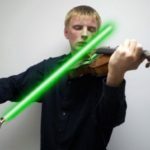 Violinist often have a tough job on their hands – they have to play complex parts, they have to be extremely accurate, and they have to synchronize with the rest of the orchestra (if they’re not solo violinist, that is). When compared to fiddlers, violinist must keep up their game in terms of skills, scales, modulations, and such. Basically, the play style of violinists includes different music genres (mostly classical music), various technical progressions during scale modulations, complex sections, and complicated harmonics. Since the differences between a violin and a fiddle are nuanced, it’s important to make it clear what’s really different between these two instruments, and what’s not. 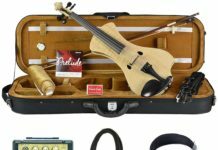 We’ve already mentioned that the New Grove’s Dictionary of Music doesn’t make any differences between these two instruments, apart that the term fiddle actually contains violin in itself (and it’s actually larger than the term violin). The question still remains – what are those differences? We should look at the fiddler’s play style, set-up, and chosen gear if we are to answer this question. Fiddlers are known for their innovative playing style that includes fast-paced rhythms, simple sections, and a joyous aura. Whenever a fiddler plays, you have an impulse to respond – whether it’s by a simple snapping of fingers, shoe tapping, head nodding, or similar, it’s hard to imagine a person that remains stationary during this type of music. 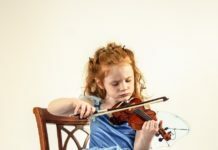 Fiddlers often play simple sections – this is one of the main reasons why they’re so different from the violinist’s that play complex lines, melodic harmonies, and high-pitched solos. The sheer simplicity is the beauty of fiddle play, but it’s also one of the key factors that distinguish the two. As for the fast-paced rhythms, fiddlers are famous for a constant and consistent play style. The violinists, on the other hand, sometimes stop or quiet their playing so that other instruments can come into focus, only to suddenly speed up or increase their volume. These rhythms are ever present in the folk music genres, which leads us to the second crucial difference between these marvelous instruments. While violin is well suited for blues, classic music, jazz, and even rock & metal, fiddle is best used in folk-based music genres. Irish music, folk-rock, polka, bluegrass, folk-metal – you name it. Fiddle is an absolute must when it comes to these music types. 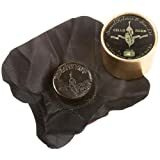 Even though a standard fiddle should be tuned in the same way as the standard violin (the standard E tuning – E, A, D, G), fiddlers sometimes peddle with, what we like to call, usual tunings. Open tunings are especially favored by fiddlers, as they allow for easier chord play. 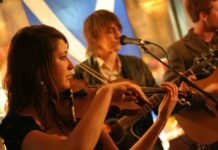 Fiddlers aren’t concerned with solo sections and harmonies, so they put a heavy accent on chords and down-picking sections. Different tunings allow for easier maneuvers through fiddle play, and it’s quite hard to say what tuning is the best – it’s a matter of subjective preference, really. Since they need different skill set, fiddlers also need different gear when compared to violinists. Looser strings, tighter tuners, different bows – these are just some of the things that the fiddlers need. However, it’s not unimaginable to see that a violinist and a fiddler share the same gear. The skill set and play style are more important, but your gear will often determine which musician you are – are you a fiddler or a violinist? We hope that we shed some light on the centuries-old question, but there’s little much to say, really. There aren’t really any major differences between the instruments except for play style and musicians usually declare themselves as violinists or fiddlers. 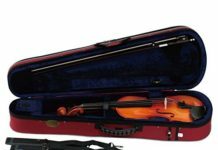 As for the key elements that should be taken into consideration prior to concluding whether you’re looking at a fiddle or a violin – they’re not as apparent as it may seem. By simply playing differently, a person can be labeled as a violinist or a fiddler in two separate events. Anyhow, one thing is certain – these two instruments are both great, and they’re pretty much the same. This entire article only needed the last 2 paragraphs.